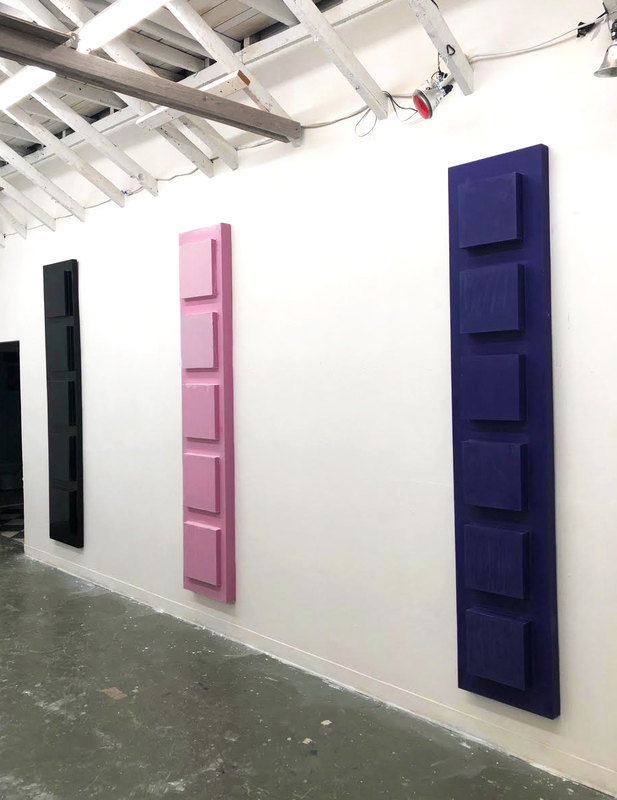 Mark Schmidt is a minimalist sculpture who lives and works in Los Angeles. Mark Schmidt was born and raised in Newport, California where he spent his youth learning about the tactility of resin by building, repairing, and working with boats and surfboards. Schmidt has an extensive relationship with the materiality of resin, which became a prevalent tool in his creative process over the years. He attended the Laguna Beach School of Art and University of California's College of Creative Studies, where he studied under the late sculptor, John McCracken. His influences stem from California's minimalist movement and fetish finish movements. “Fresh Polyester” is Schmidt’s debut exhibition at New Image Art. This solo exhibition is a study of the interactions of light and form. Schmidt's sculptures explore shapes and colors and how they relate to visual forms and patterns as seen in everyday life. His pallet stems from the California landscape: birds, trees, flowers,ocean environments and variations that exist in our native elements.